Busy familiarizing with Windows Vista? The successor to Windows Vista, with internal codename as Windows 7 (previously known as Blackcomb and Vienna) has also been in development stage by Microsoft, with rumored release date targeted at late 2009. But with Microsoft’s records, the date will definitely delay. But it doesn’t stop Microsoft to send out the first known build of Windows 7, named Milestone 1 version 6519.1.071220-1525. 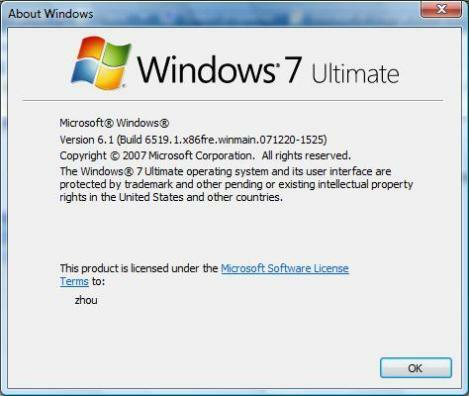 Some key partners of Microsoft has received both x86 and x64 versions of Windows 7 Milestone 1 (M1), which requires Windows Vista with Service Pack 1 to install, and creates a dual-boot system with Windows Vista. Users can install as Free (no debug message) or Checked (with debug message). 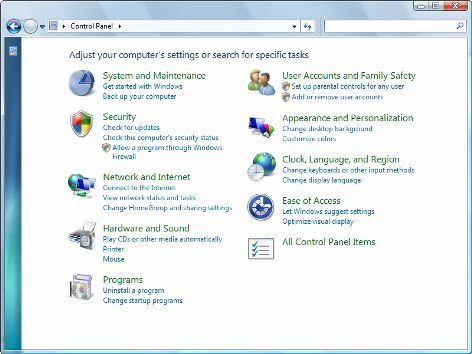 Here’s some screenshots of Windows 7 posted by various users on the Web. On the first sight, it looks very similar to Windows Vista, and can be assumed simply enhanced from Vista. About Windows 7 which shows version still lingering around 6.x. 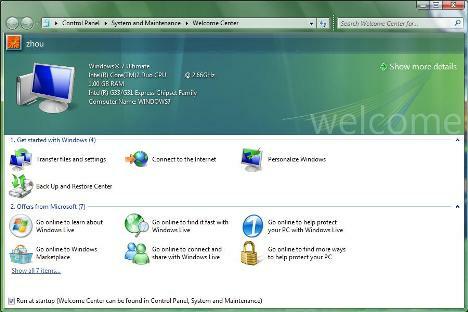 Welcome Center of Windows 7. 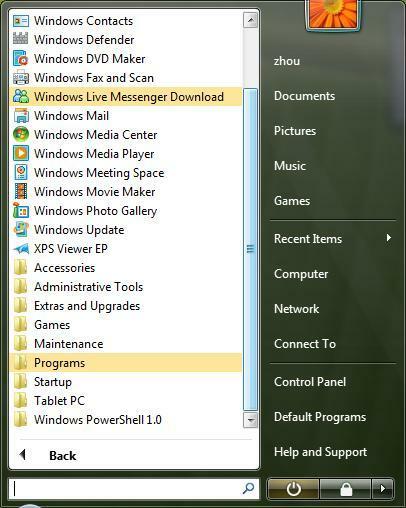 Start Menu of Windows 7, noted that some new programs is included, such as XPS Viewer EP and PowerShell when comparing with Vista, but there is no guarantee that they’ll be in final build. 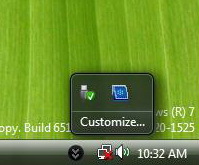 New style of notification area aka system tray in Windows 7 to manage icons. 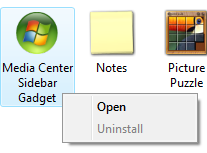 Windows Sidebar also no longer has icon in system tray. 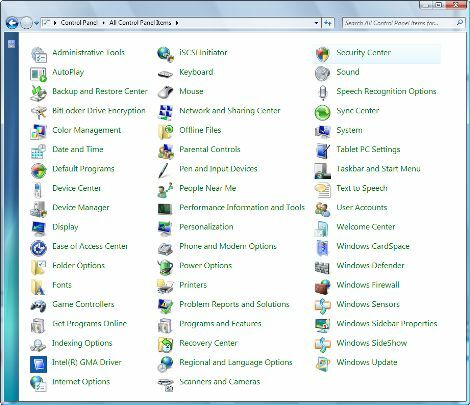 All items of Control Panel in Windows 7, some new items include Recovery Center and Windows Sensors. 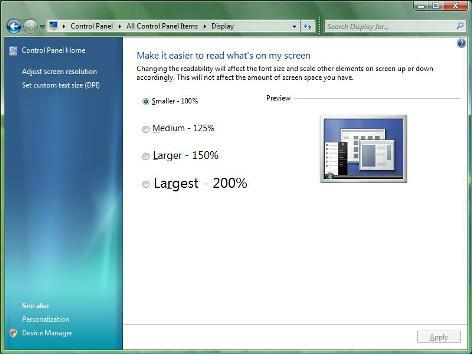 Display Settings in Windows 7, which offers settings of DPI scaling prominently. 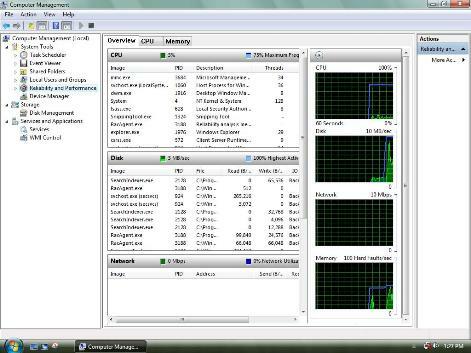 The layout of Performance Monitor in Windows 7, slightly change from Vista. 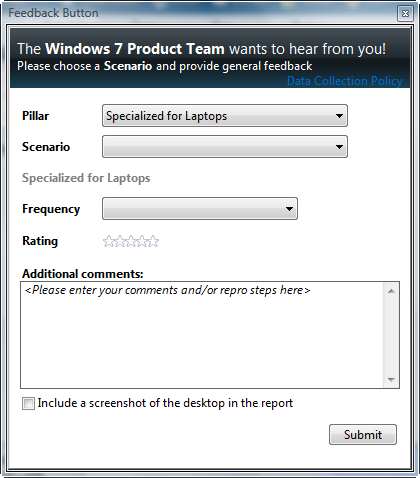 Reliability Monitor in Windows 7. 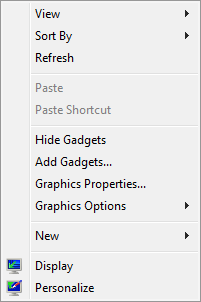 New right click contextual menu command items when right click on Desktop. 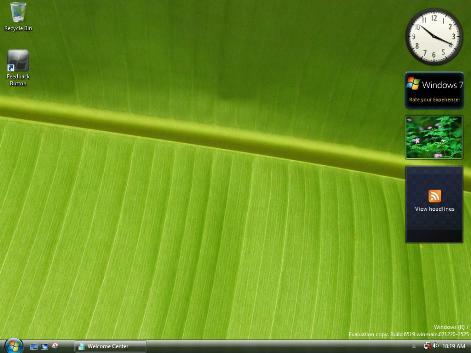 Windows 7 Sidebar with new Media Center gadget. 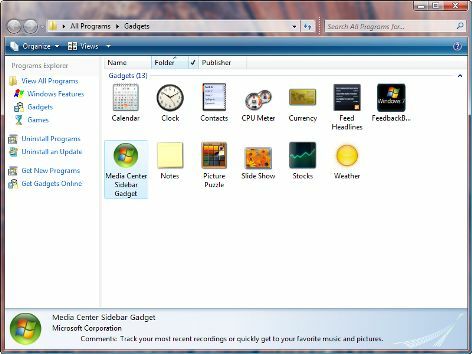 Gadgets in Windows 7 can be browsed from Programs Explorer in Windows 7. It will be shown when clicking on “Add Gadget” from Explorer or Sidebar. Options menu when clicking on gadgets. 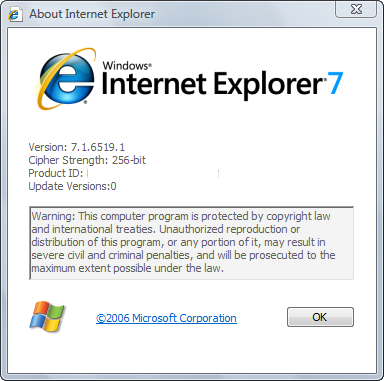 A new build version of IE7 in Windows 7, or will it comes with IE8 instead on RTM? 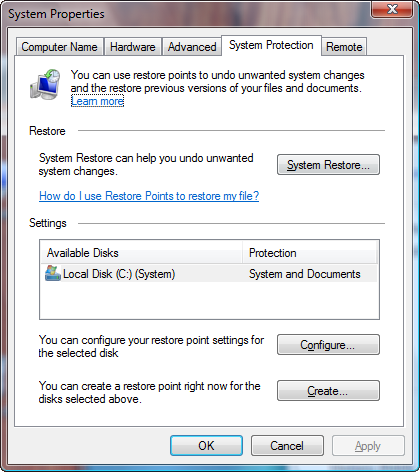 System Protection tab in System Properties of Windows 7. 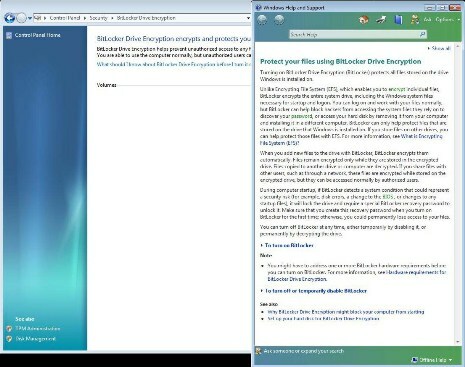 BitLocker Drive Encryption and Windows Help describing it in Windows 7. 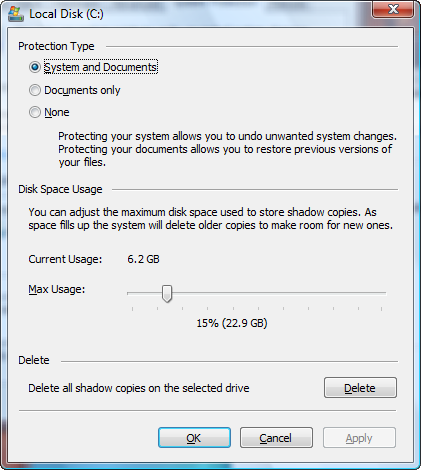 BitLocker appears to be integrated in Windows7 instead of requiring separate download. There is also some video demo clips that actually shows how Windows 7 M1 works. 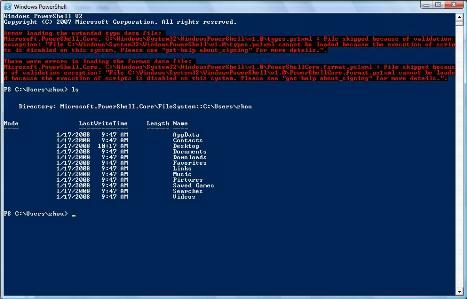 Boot process of Windows 7 and playing with basic functions or view related information. Video clip featuring sizeable search box and pin-able start menu items in Windows 7. The M1 version of Windows 7 going to expire and stop running on May 7, 2008 automatically without any notification, with M2 code drop is currently scheduled for April/May 2008, and M3 will follow in the third quarter. Some features of Windows 7 known including support for multiple display adapters, support for connecting to multiple monitors using different display adapters, enhanced Media Center, and WinMin (small footprint kernel with use only about 40MB memory). Beside, only XDDM certified drivers can be used, so those upgrading from XP will have big headache as drivers for XP will probably not working.